NASA's Cassini spacecraft has continued collecting new scientific information from Jupiter's environs every day since making its closest approach to the giant planet on Dec. 30, 2000, and is scheduled to keep studying the Jupiter system for another three months while proceeding on toward Saturn. "The flyby went smoothly, and the spacecraft is operating flawlessly again," said Bob Mitchell, Cassini program manager at NASA's Jet Propulsion Laboratory, Pasadena, Calif. 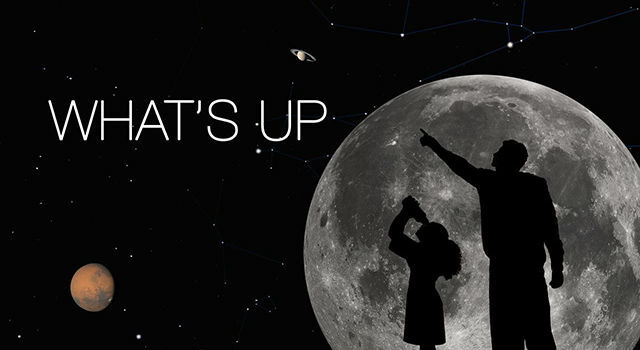 This week's targets of observation by Cassini begin with Jupiter's atmosphere and rings. Between Jan. 5 and Jan. 12, the moons Io, Europa and Ganymede will each be examined while in eclipse for information that their faint airglows can reveal about those moons' tenuous atmospheres. Today (Thursday), Cassini is measuring natural radio emissions from Jupiter's radiation belts, a research project that will also draw upon results from Earth-based radio telescope observations by students in 25 middle schools and high schools in 13 states. 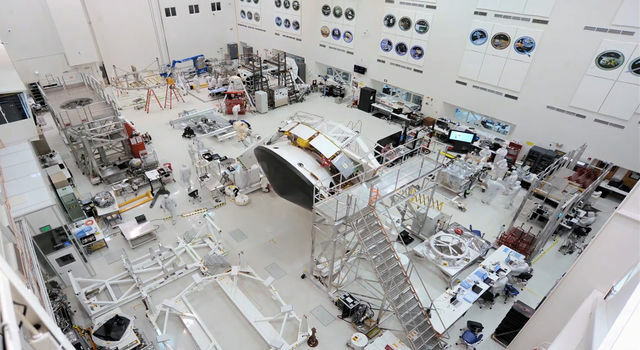 (For information on the student project, see http://www.jpl.nasa.gov/news/news.php?release=2000-119 . The flyby of Jupiter, at a distance of about 9.7 million kilometers (6 million miles), gave Cassini a boost from Jupiter's gravity that accelerated the spacecraft by about 2 kilometers per second (about 4,500 miles per hour) and will enable it to reach its ultimate destination, Saturn, in July 2004. A higher-than-normal drag that was detected on one of Cassini's reaction wheels more than two weeks ago has not reappeared. The reaction wheels are used to rotate the spacecraft in different directions, and the problem led to suspension from Dec. 19 to Dec. 28 of scientific observations that would have required pointing the spacecraft, such as for taking pictures. "That problem appears to be behind us, except that we have an extra workload to prevent recurrence of the conditions we think caused it," Mitchell said. Mission engineers believe that the excessive friction at one reaction wheel resulted from lessened lubrication after prolonged operation at relatively low speed. Operating the wheel at higher speeds apparently restored proper dispersal of the lubricant. 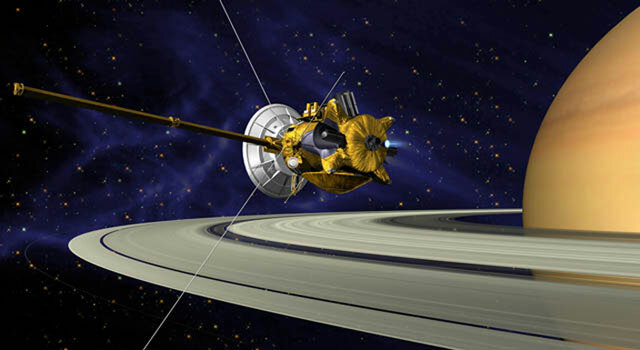 The Cassini flight team is developing procedures for avoiding prolonged operation of the reaction wheels at relatively low speeds. Cassini is a cooperative mission of NASA, the European Space Agency and the Italian Space Agency. 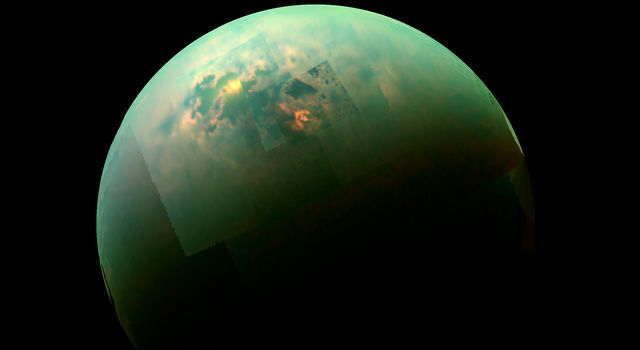 JPL, a division of the California Institute of Technology in Pasadena, manages Cassini for NASA's Office of Space Science, Washington, D.C. Additional information about Cassini is available online at http://saturn.jpl.nasa.gov/index.cfm .